Falls under the Pradhan Mantri Jan Dhan Yojana (PMJDY), 14 crore bank accounts have already been opened with over Rs 14,000 crore coming in as deposits, to facilitate poor people. 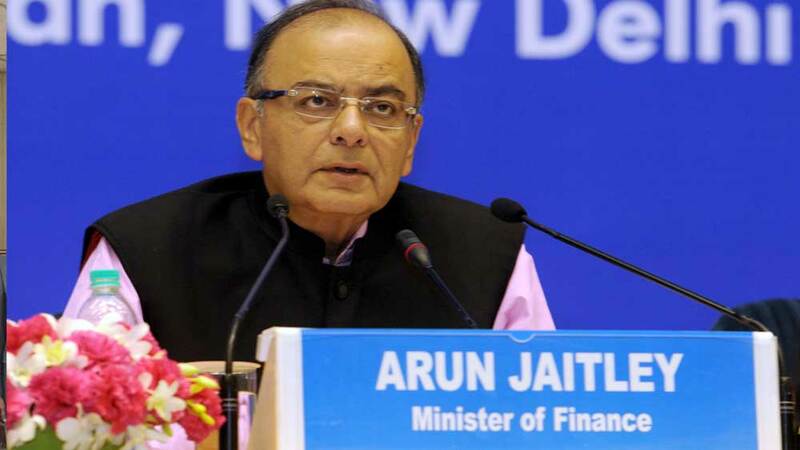 Union Government is planning to link healthcare scheme with the Jan Dhan initiative, a flagship financial inclusion programme of BJP government, in a bid to offer adequate facilities to poor people, informed Union Finance Minister Arun Jaitley. About 14 crore bank accounts have already been opened with over Rs 14,000 crore coming in as deposits. “We are working on providing the poor people benefits of healthcare schemes (under Jan Dhan) in the next phase," Jaitley said. Significantly, with the opening of bank accounts under the Jan Dhan scheme, poor people will get money to afford medical services. Besides this, Rs 1 lakh accident insurance cover and Rs30,000 life cover would be given to those who will get the Jan Dhan accounts and it would be linked to pension schemes as well. Assured Jaitley, “The poor (people) of the country now have access to bank accounts. We are now trying to put some money in those bank accounts. Through the DBT, crores of people will get money into their bank accounts." Under the Direct Benefit Transfer (DBT) scheme, subsidy amount is directly credited into bank accounts of consumers even as they pay full amount for LPG cylinder at the time of purchase. The PMJDY was launched by PM Narendra Modi in August 2015 under which, the banks were asked to open at least one account of an adult member in every household. There are various benefits through PMJDY like RuPay Debit Cards with Rs 1 lakh accidental insurance to all account holders. An overdraft of Rs 5,000 to one member of family, preferably a woman, will also be provided after observing satisfactory transactions in the account for six months. Zumba: a lucrative business option..